Research Journal of Nervous System | Guidelines. Peripheral Nervous System, Nervous Impulse, Spinal Cord, Cerebral hemisphere, Hypothalamus, Brainstem, Brain Tumors, Clinical Neurophysiology, Meningiomas, Neurological Surgery, Neurology, Neurosurgery, Neurosonography, Parkinsonism, Cranial Nerves, Cerebrovascular Disease, Vascular Dementia, Cognitive Behavioral Therapy, Cognitive Psychology, Neuroregeneration. 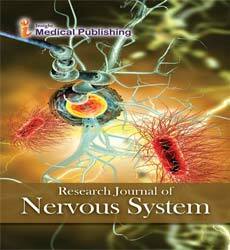 Research Journal of Nervous System publishes original research articles of outstanding medical importance. We will consider manuscripts of any length; we encourage the submission of both substantial full-length bodies of work and shorter manuscripts that report novel findings that might be based on a more limited range of experiments. The writing style should be concise and accessible, avoiding jargon so that the paper is understandable for readers outside a specialty or those whose first language is not English. Editors will make suggestions for how to achieve this, as well as suggestions for cuts or additions that could be made to the article to strengthen the argument. Our aim is to make the editorial process rigorous and consistent, but not intrusive or overbearing. Authors are encouraged to use their own voice and to decide how best to present their ideas, results, and conclusions. Although we encourage submissions from around the globe, we require that manuscripts be submitted in English. Authors who do not use English. Editors will make suggestions for how to achieve this, as well as suggestions for cuts or additions that could be made to the article to strengthen the argument. Our aim is to make the editorial process rigorous and consistent, but not intrusive or overbearing. Authors are encouraged to use their own voice and to decide how best to present their ideas, results, and conclusions. Although we encourage submissions from around the globe, we require that manuscripts be submitted in English. Authors who do not use English as a first language may contact us for additional information. As a step towards overcoming language barriers on acceptance of the paper, we encourage authors fluent in other languages to provide copies of their full articles or abstracts in other languages. We will publish these translations as supporting information and list them, together with other supporting information files, at the end of the article text. Authors who publish in Research Journal of Nervous System can make their source data, reports of statistical analysis, as well as any other materials that they judge important, freely available to the scientific community. Source data: Research Journal of Nervous System strongly invites authors to supply the database of all cases and variables described in the article to be published together with the manuscript. The database may consist of one or more files. Files should be provided in Microsoft Excel 97 (or later); however, other commonly used database formats may be accepted. The authors must provide a detailed list of the entire set of variables, reporting their names, descriptions (according to the text of the manuscript), and coded values. A form in Microsoft Word named DATA00.DOC is available on-line and may be used for this purpose.